United Way is a free call, staffed 24/7. Use 211 when you have a question about services, programs and resources available in your area. 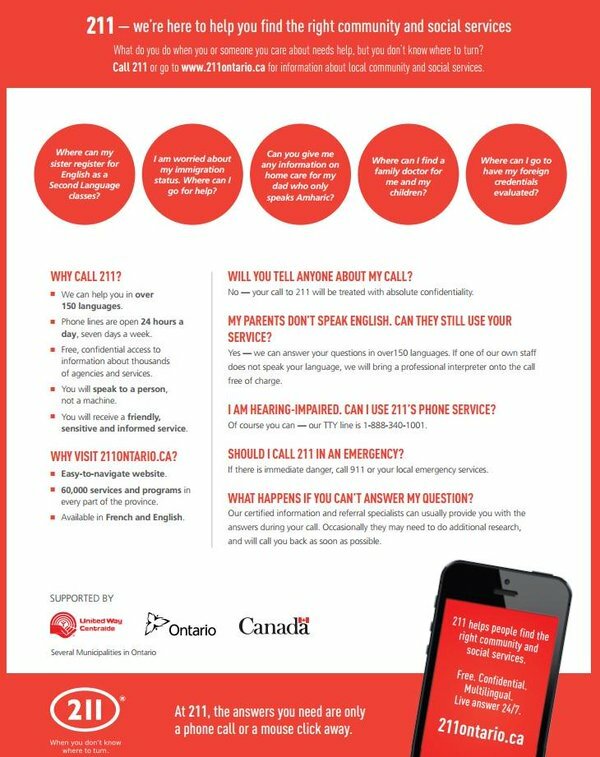 You can reach 211 for free anywhere in Ontario. The following fact sheet provides some answers to common questions about 211. United Way Leeds & Grenville provides funding to 211 in Eastern Ontario.